SPRINGFIELD, Mo. 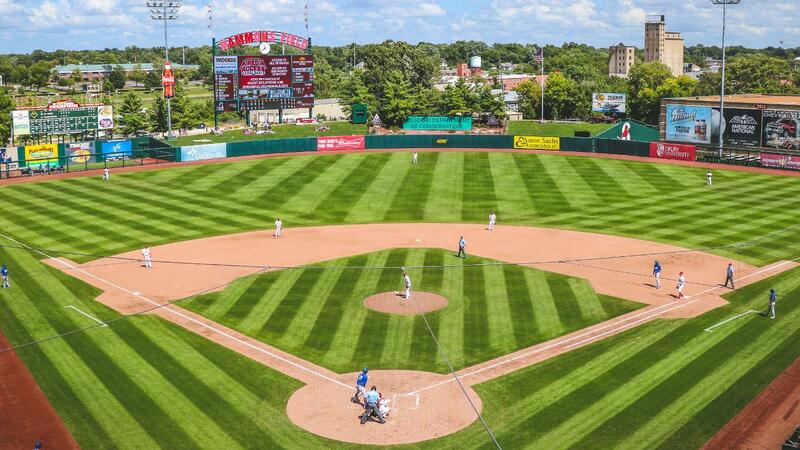 - Minor League Baseball and the Sports Turf Managers Association (STMA) have announced that Hammons Field has been named the 2018 Double-A Field of the Year. It marks the fifth time in the last six years, and sixth time overall, that Hammons Field has won the award over the other 29 Double-A teams. The Springfield Cardinals and Hammons Field first captured the prestigious award in 2008. The award is the most recent accolade for Hammons Field, which also received its eighth consecutive and tenth overall Texas League Field of the Year award this year. Additionally, Cardinals Head Groundskeeper Brock Phipps was named the Double-A Sports Turf Manager of the Year, recognizing the excellent work of Phipps, Assistant Head Groundskeeper Derek Edwards and the entire field staff at Hammons Field. In 2018, Hammons Field not only hosted 69 Springfield Cardinals games and the Missouri State Bears Baseball home schedule, but numerous clinics, on-field fan experiences and community events. "Seeing that this crew and this field earned Double-A Field of the Year is a special honor, especially with the talented groundskeepers throughout this level of professional baseball," Phipps said. "Bringing this award back to Springfield for a sixth time overall and fifth time since 2013 is not only humbling, but shows the expertise, passion and commitment of Assistant Head Groundskeeper Derek Edwards and our entire crew. It also exemplifies the unwavering support provided year-round by the Springfield Cardinals front office staff." "We take so much pride in representing the Springfield community by being able to give them the best field in Double-A baseball and an unparalleled fan experience," Springfield Cardinals G.M. Dan Reiter said. "Watching our entire staff, and especially Brock and Derek, work all day throughout the year to keep the Hammons Field playing surface in Major League level condition is an incredible process to witness."